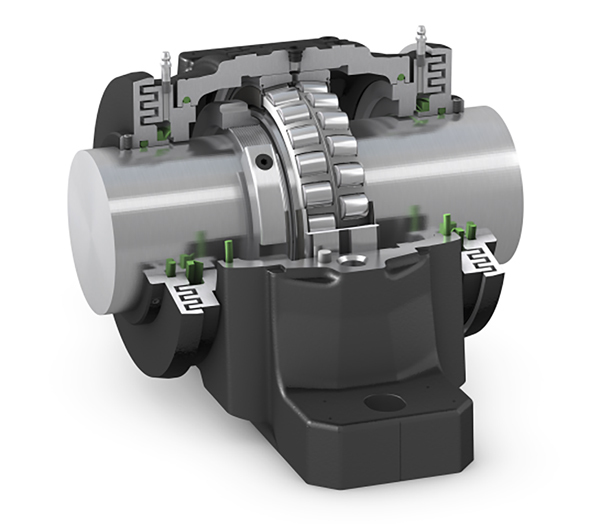 SKF has developed a new taconite seal offering superior protection for bearings in split block housings that operate in harsh or highly contaminated environments. When used with an appropriate bearing and housing, this sealing solution can make a significant contribution to longer, more reliable equipment service life, reduced operating and maintenance costs and lower environmental impact. 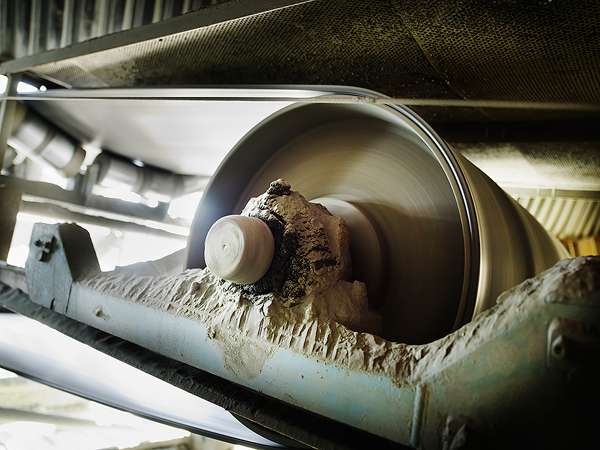 SKF has led the fight against contamination-related premature bearing failures in equipment used in mining and materials processing since the 1960s. Now a new generation of SKF Taconite Seals combined with novel SKF solutions for this sector brings improved levels of performance to these key components and offers customers a standard product that is available globally when needed. 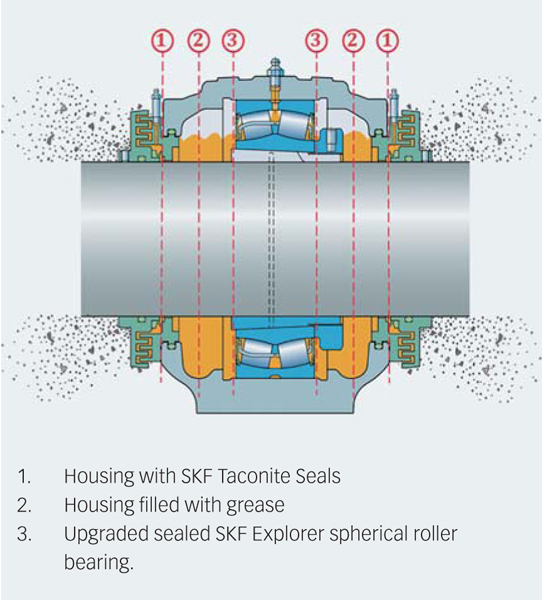 The SKF Taconite Seal is a new global solution for split housings for self-aligning bearing applications in the mining, mineral and metal processing, cement, marine and pulp and paper industries where the ingress of contaminants poses a challenge to bearing service life (fig. 1). Specific applications for the SKF Taconite Seal include conveyor pulleys, grinding mill pinion housings, bucket elevators, hoists/winches, jack shafts, pulverizers and some fan applications. This new solution from SKF helps to meet and exceed the needs of these sectors to drive improved productivity and profitability, improve worker health and safety and reduce environmental concerns. Historically, taconite-type seals derive their name from a type of iron ore mined in Minnesota’s Mesabi Range in the United States. Due to the invasive, highly abrasive nature of this material it would penetrate past seals into bearing housings, causing the bearings to fail very rapidly. To overcome this problem, since the 1960s engineers have been developing “taconite seals” intended to resist the ingress of harsh and abrasive dust in wet environments. Generally, the taconite seal is a cartridge design that fits into the seal groove of a split bearing housing. It usually has a labyrinth, a felt, contact or V-ring rubber seal and a grease purge. Over the years most manufacturers have developed variants of the taconite seal, and the lack of standardization has made them rather costly and variable in performance. 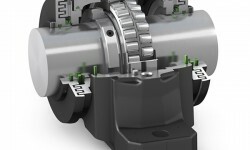 Sealing makes an important contribution to maximizing the service life of bearings and to the reliability of equipment. In the mining industry and associated sectors, the major driving factors are productivity and process efficiency, health and safety and environmental considerations. SKF Australia realized that there was an opportunity to take a new look at the taconite seal design with the aim of improving the sealing performance for split housings in those industries where there are abrasive dust and/or corrosive/high-pressure wash-down applications. The resulting new seal provides exceptional results in excluding contaminants and provides lower maintenance costs and reduced grease consumption. The result is a standard product that can contribute to improved productivity, reduced environmental impact and improved worker health and safety. 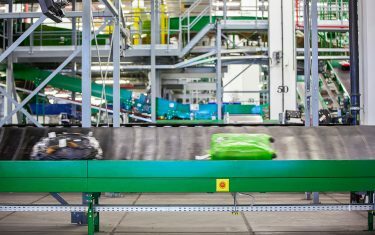 Equally important is worldwide product availability to meet the needs of multinational customers through just-in-time delivery programmes. The SKF Taconite Seal forms part of what SKF regards as its ultimate three-barrier solution (fig. 2) for bearings in split housings under the highly contaminated operating conditions often found in mining and other industries. This consists of an SKF housing incorporating SKF Taconite Seals, a grease barrier and an upgraded sealed SKF Explorer spherical roller bearing. This approach is designed to offer the ultimate performance in contaminated and wet situations, particularly where there are likely to be high-pressure wash-downs of equipment. 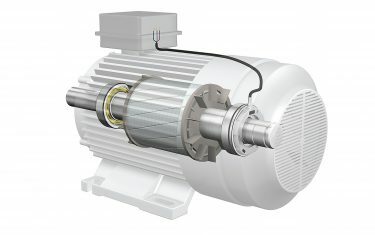 With this combination, the SKF housing with SKF Taconite Seals is the primary barrier that prevents the entry of dirt and water; a secondary barrier is provided through a grease fill in the housing cavity, and the final barrier is at the upgraded sealed SKF Explorer spherical roller bearing that keeps out contaminants during installation and operation. Essentially, the SKF Taconite Seal is a heavy-duty multi-stage axial labyrinth cartridge seal (figs. 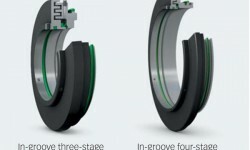 3 and 4) suitable for split bearing housings, comprising two labyrinth rings, one rotating and one stationary, an internal low-friction V-ring and provision for a grease purge. 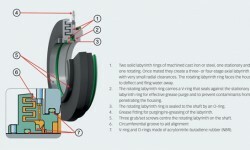 The V-ring seals against the stationary labyrinth ring to provide effective grease purge and to resist the penetration of contaminants into the housing. 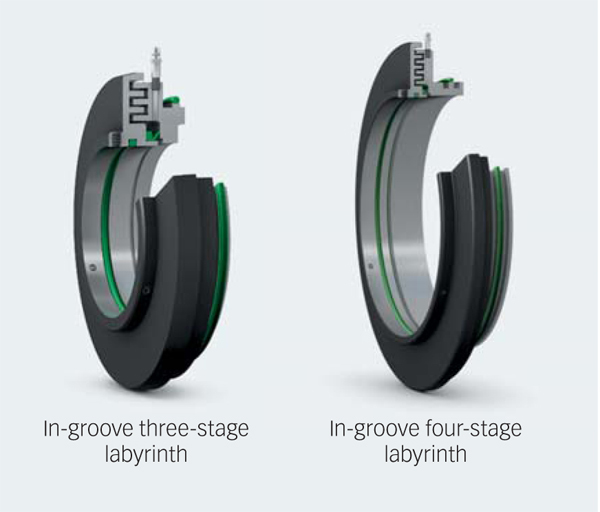 An O-ring in its bore seals the rotating labyrinth ring to the shaft to prevent water penetration and corrosion. The SKF Taconite Seals (fig. 4) are supplied with a circumferential groove on the outermost surface of the stationary labyrinth ring to aid assembly and alignment. 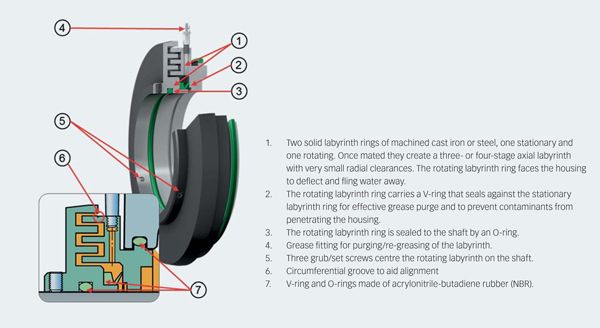 The rotating labyrinth ring is slid over the shaft towards the housing and engaged over the stationary ring until its inner side face aligns with the circumferential groove on the stationary ring. Grub screws on the rotating labyrinth ring can then be tightened against the shaft using a star pattern to positively locate the rotating labyrinth ring both axially and concentrically. 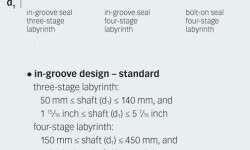 The configuration of the seal not only provides superior performance to most pre-existing designs, but also simplifies assembly and eliminates the risk of damage to the shaft surface. The seals represent a wide product range to fit housings with different shaft sizes and are available as standard for metric shafting from 50 mm to 450 mm now, and inch shafting from 1 15/16 inch to 18 inch later in the year. Larger sizes also can be provided to special order. 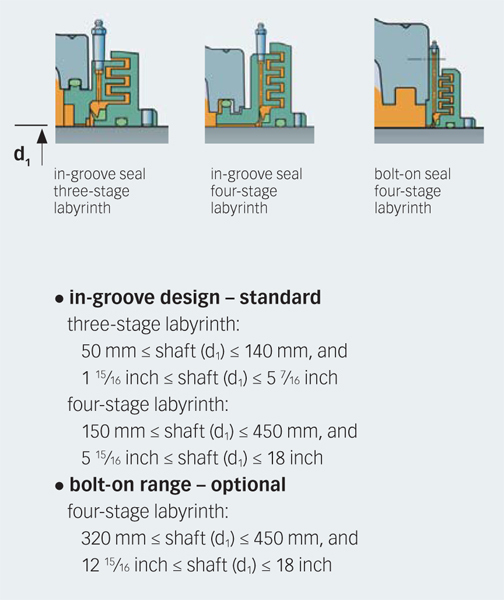 In-groove seals fit into the seal groove of SKF split housings. The housings do not need any modification to accommodate this type of seal. A bolt-on design is optionally available for large housings. In this case, the housing must have a machined face to accommodate the seal. Fig. 5 shows the product range and fig. 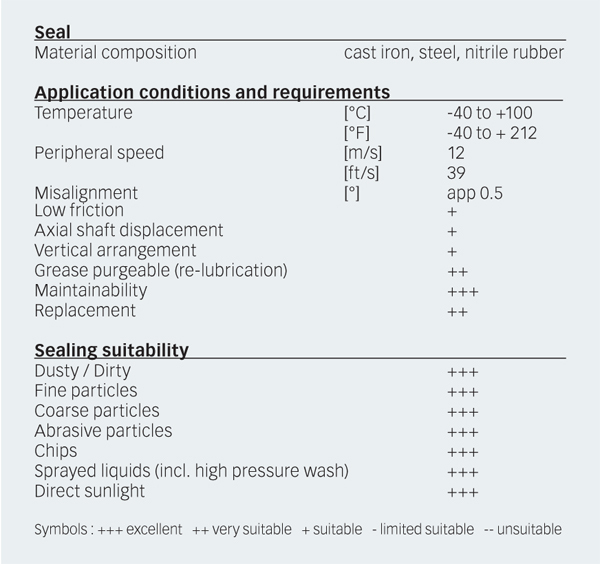 6 the technical data of SKF Taconite Seals. The SKF Taconite Seal is supplied with a grease fitting for the grease purging of the labyrinth. This purges the labyrinth of contaminants and helps block the entrance of contaminants. The seal can be grease-purged manually with a grease gun, using the SKF System 24 or with a SKF Automated Lubrication System (ALS). 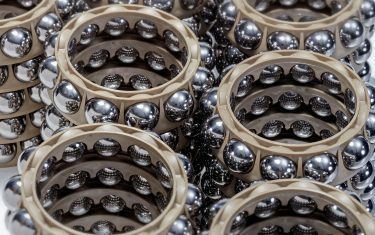 Where a sealed SKF spherical roller bearing is used, SKF recommends SKF LGEP 2 grease, which is the original factory fill grease in sealed spherical roller bearings. For lubrication with SKF SYSTEM 24, use LGWA 2 grease. In customer field tests in conveyor pulley applications for example, when used with the upgraded sealed SKF Explorer spherical roller bearings, this seal has reduced grease consumption, associated maintenance tasks and costs by up to 60 %. As well as the cost reduction related to reduced grease use, there are additional savings from reduced disposal costs and lessened environmental impact. 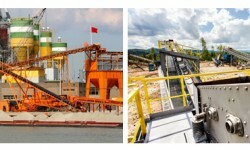 Solutions incorporating the SKF Taconite Seal have demonstrated the improved performance of the equipment. One customer approached SKF with an issue related to conveyor pulley bearings mounted in competitor block housings with taconite seals. The conveyor used for loading iron ore onto ships was experiencing pulley bearing failures due to contamination of the lubricant. 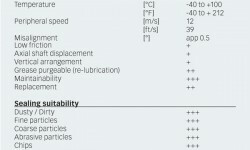 The mean time between failure (MTBF) for bearings was less than a year due to gross iron contamination of the bearing grease inside the bearing housing. When analysed, it had a content of between 5,000 and 14,000 ppm. 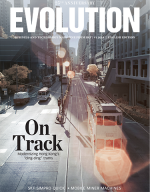 When the existing seals were replaced with SKF Taconite Seals, the level of contamination dropped dramatically to only 10 to 60 ppm with bearing life extended by almost four times and beyond the expected life of the pulley lagging, which is more than four years. In another conveyor pulley application, bearings were experiencing premature failure with MTBF of around 10 months. 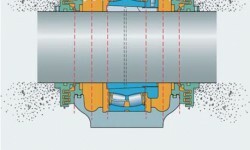 The failure of open spherical bearings was caused by extreme contamin-ation of the bearing grease. 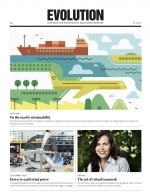 The solution was to employ the SKF Three-Barrier Solution. This has raised the MTBF to more than five years. 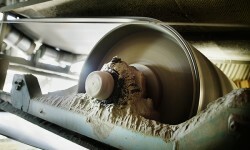 In an ultra-fine grinding mill at a gold mine, the operator was experiencing bearing failures of the non-drive side bearing arrangement and was replacing bearings as a precaution every 15 months. This added considerably to maintenance costs. In May 2012 the ultimate SKF Three-Barrier solution was installed, and it has been operating satisfactorily since that time. In conclusion, the development of the new SKF Taconite Seal when combined with the SKF Three-Barrier Solution brings significant benefits to the processing and mining industries at a global level. It is a standardized design with compact dimensions and easy installation, delivering improved technical features such as superior seal performance and high misalignment capability, while also contributing to lower environmental impact.